The idea of a brewery in Langley was long overdue, so it was welcomed news for local craft beer fans when Trading Post Brewing finally arrived. Among the many reasons why the Trading Post team chose this Fraser Valley location is their passion for the rich history of the area. The name itself is a nod to Fort Langley as a former trading post of the Hudson’s Bay Company. Lance Verhoeff, who teamed up with his father Paul Verhoeff to open Trading Post, praises his staff and what they bring to his team. They joined forces with John Ohler, manager of sales and business development, who originally led Howe Sound Brewery Company for seven years. 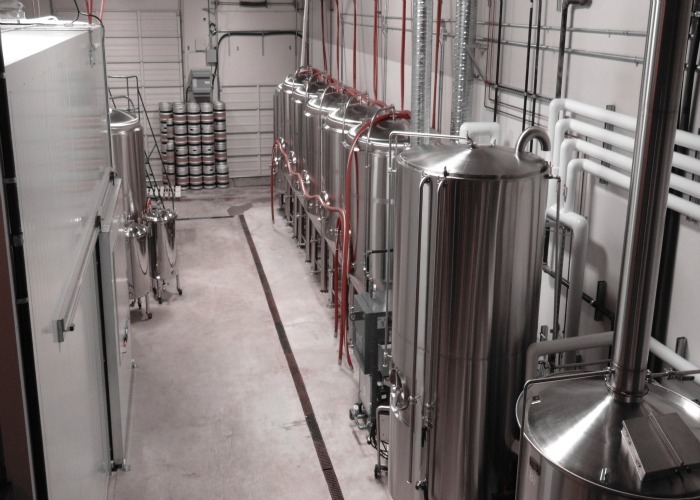 To further their hope of being known as a contemporary brewery, they enlisted brewmaster Tony Dewald, who comes with over 25 years of brewing experience. With the help of Dewald, Verhoeff says that the beers they come up with are cutting edge and about pushing the boundaries. 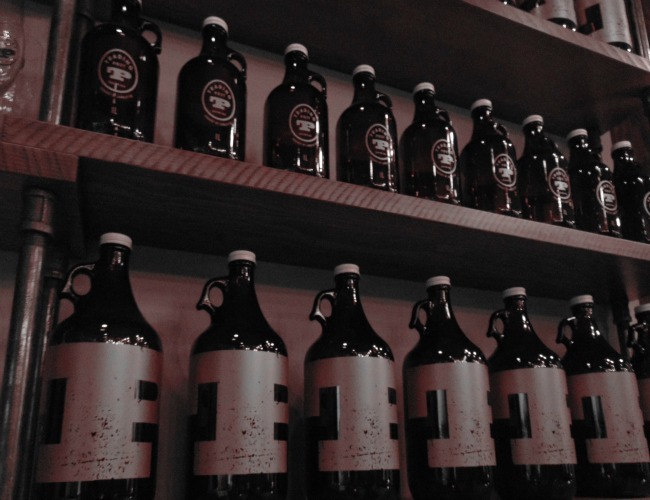 Giving back to the community is also part of Trading Post’s core values, which is why the first 50 customers who trade-in a can of any big-label beer (Molson, Bud, Coors, etc) will receive a free growler ($7 value). On February 13, Trading Post Brewing will be open to the public between noon and 9 p.m., with 10-minute tours of the brewery available over the course of the day. 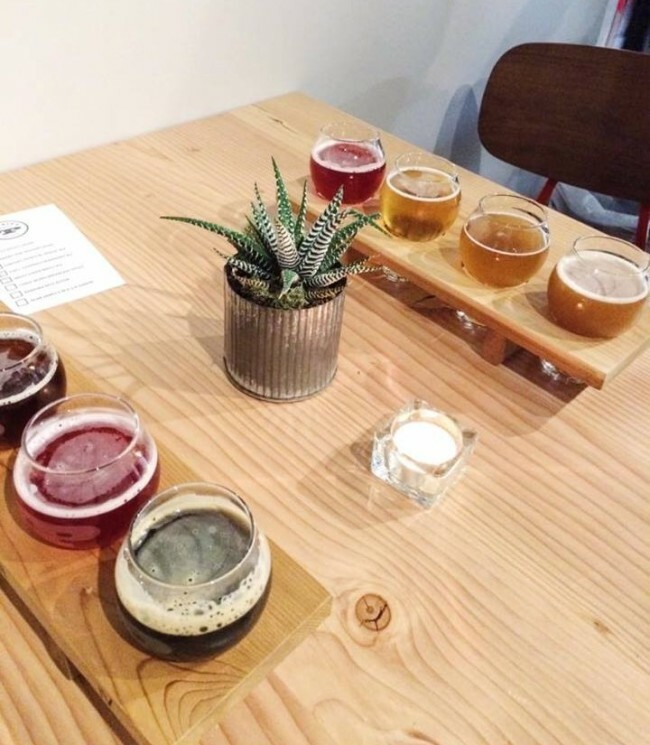 With the spring launch of their second location–an eatery and taphouse in Fort Langley–they have set goals in mind: bring people together, collaborate, and mingle over a pint of local beer. A golden blonde lager featuring a subdued hop profile with a light malt character. This crisp, easy drinking beer is made from the finest Bohemian floor malted barley and Hallertau Mittelfruh hops. A pre-prohibition style amber lager featuring a fresh, floral hop aroma with a medium malt body. Brewed using Vienna malt and a variety of traditional and new world hops, this beer has a bready flavor and a light citrus finish. An “eye-opener” beer, brewed using dark roasted malt and cold extracted coffee from Republica Roasters. A jet black oatmeal stout features notes of chocolate and espresso, and perfect for any time of the day! A cross between an IPA and American wheat ale. This beer features an ocean of superior malt rolling in on waves of tropical fruit with notes of citrus, mango, and passion fruit. “Funky and fruity,” this straw colored beer features aromas of mango, guava, and orange. Brewed using specialty malts and a cornucopia of hops, it’s fermented with the Brettanomyces Bruxellensis wild yeast strain. A tart, American style wheat ale that is brewed with local cranberries and features a medium malt body with notes of citrus and fresh tart cranberries. Kettle soured with Lactobacillus and fermented with 100% Brettanomyces. Hours: Monday to Thursday: 2:00 p.m. to 10:00 p.m. Friday and Saturday: 12:00 p.m. to 11:00 p.m. Sunday: 12:00 p.m. to 7:00 p.m. Written by Brooklyn Driediger – a BCIT Radio Arts & Entertainment grad and casual lifestyle blogger.